Rapid industrialization has lead to an increased demand for natural resources. The natural resources as Iron Ore forms the bedrock of industrialization. 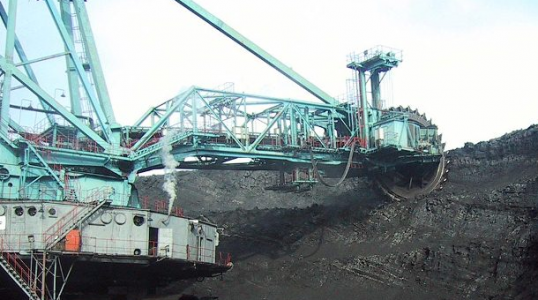 Natural Resources as Coal are widely used for Power Generation. To meet the rising demand for metals (both Ferrous and Non-Ferrous) and Energy, Mining industry undertakes development of large scale projects. Depending upon the scale of the project, the mining projects may entail creation of massive industrial infrastructure as Roads, Railways, Ports, Dams, Captive Thermal Power Plants etc to support the core mining Asset. The infrastructure development in mining sector today is primarily on Engineering Procurement & Construction (EPC). EPC Philosophy entails that the complete project is broken down into major components and equipments – which is tendered out to the successful bidder – who is responsible for doing the detailed engineering, in compliance with basic engineering design as prepared by owner or owner’s consultant. Once the project has been decided to be executed, the owner sets the objective of the project. Owner also hires specialized consultancy firms – Project Management Consultants(PMC) – who, in alignment with the objectives of the owner, perform the basic engineering of the asset including design, subcontracting, vendor management & project management activities. They may divide the overall project into packages, evaluates the bid received and recommends owner to award the package to the successful bidder, reviews the engineering documents created by the successful bidder and oversees the execution of the project till the asset handover and contract closure. Detailed Engineering Documents – Till Good for Construction / Release for construction and till As-Built. Modules for documents for C&I. Inspection Calls Management between Vendor, Contractor, Third Party inspection Agencies and Owner till the release of Material Dispatch Clearance Certificates Generation. Material Tracking until reconciliation of material to be handed over to Owner at the end of the project as per contract. Collaboration between Site Office, Project Execution Office & Project Engineering Offices. Transfer Protocols - including the material consumption detailed for invoicing & Punch Lists.